We're being told by the nation's political parties to celebrate and help build a "Northern Powerhouse”, so I thought (in a non-political way) it would be coot to start shedding light on the many different bands that call Northern England home. Encompassing bands from Merseyside, Lancashire, Lincolnshire, the North East and of course Yorkshire, I intend to cover bands on a weekly basis that represent the rich and creative scenes from across the North. Today I'm starting with experimental noise/black metal/power electronics act Grimmness from Lancashire. The project was formed over four years ago now with all of it's releases coming via DIY label The Dropa Collective. 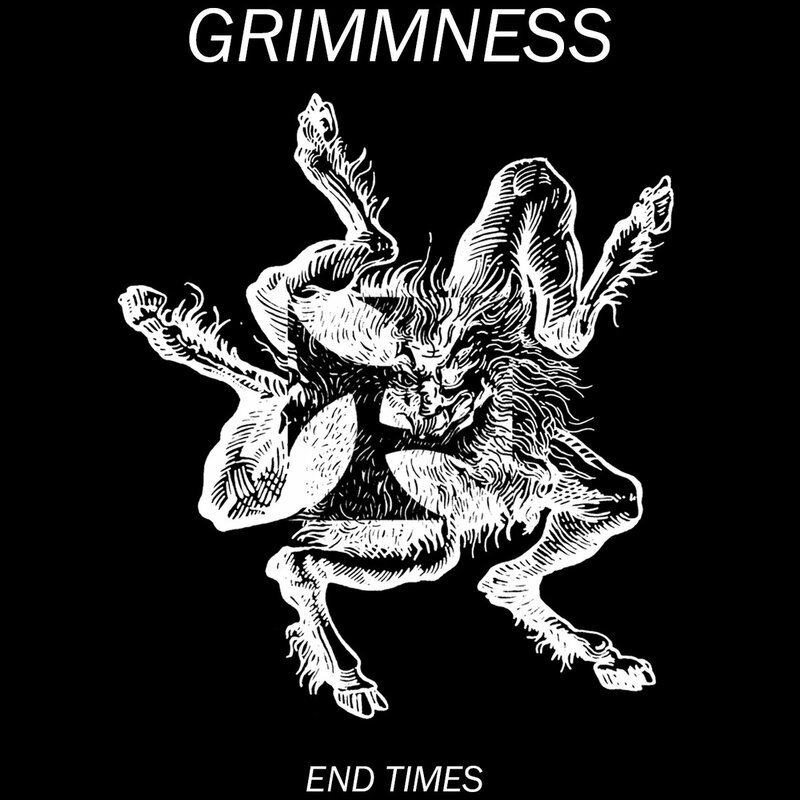 Grimmness exists thanks to hand built instruments and a DIY approach to writing and recording. It seems bizarre to call a song Joy when it’s obvious that the creator behind Grimmness feels anything but; however, it’s that dark humour and sarcasm that’s the bedrock of Northern England. The song itself features looping, swirling feedback that opens the first half. The second half of Joy is made up of minimal, droning black metal with whispered vocals and a hypnotic tempo. The rawness of second track War is obvious and its collage of uneasy noise and more traditional black metal is not an easy listen and comes complete with a lot of anti-melody. There’s a good mix here between stack electronic noise and melancholy, where the music ventures ever so slightly into black/shoegaze territory, especially during Collapse. Feedback reigns over it all and rests alongside the sample at the song’s conclusion before flowing into the closing title-track. If you have the volume turned up you’ll hear a lot of subtle layers within the music. The recording captures a real feeling of claustrophobia and with the cigar-box guitar that’s used, not just in this song but also throughout the EP, there are hints of bands like Oede (Norway) and Vermapyre (Belgium) as well as the icy black metal reserved by bands like Darkthrone and Immortal, albeit stripped down. It’s certainly grim up North!